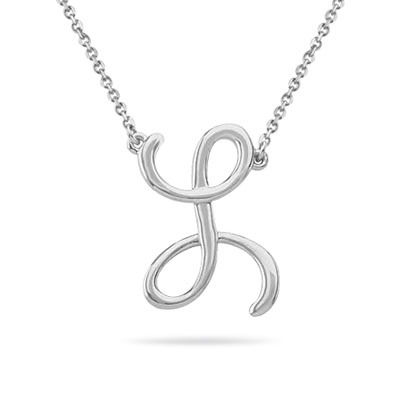 Fashion Script Initial L Pendant in 14K White Gold . This appealing Fashion Script Initial L Pendant is exquisitely accentuated in 14K White Gold. Approximate Gold Weight: 2.92 Grams. The pendant comes finished with a 16-inch 14K White Gold Diamond-cut Cable Link Chain. A stylish pendant displaying stunning simplicity.